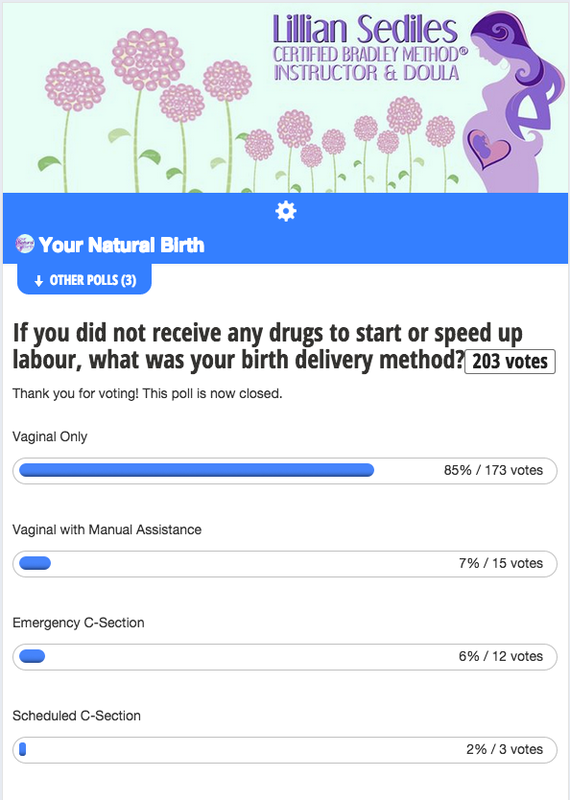 Results from Last Week’s Poll: If you did NOT receive drugs to induce, what was the delivery method? If you just split the results into two categories: Vaginal versus C-Section, 93% were delivered vaginally whereas only 7% were delivered via c-section. This is a SIGNIFICANT difference! Following this post, I will discuss what implications this may have regarding induction and c-section. My husband and I have been eating a paleo diet/lifestyle since we were engaged. It not only helped us lose a total of 40 lbs put together for the wedding, but it also changed the way we think about our health. The philosophy behind the paleo diet is can be found here and Mark’s Daily Apple‘s blog is an excellent resource on how to get started. Here’s also an overview of the history of food and what this diet is based on. Also, here’s a short video by Mama Natural, who I enjoy watching, and her first week of the Paleo diet!